The next voyage of the Azamara Journey which was scheduled to depart Shanghai, China on the 3rd of March has now been cancelled and Azamara Club Cruises is contacting all passengers affected. According to the cruise lines facebook page guests will be contacted personally or through their travel agent. 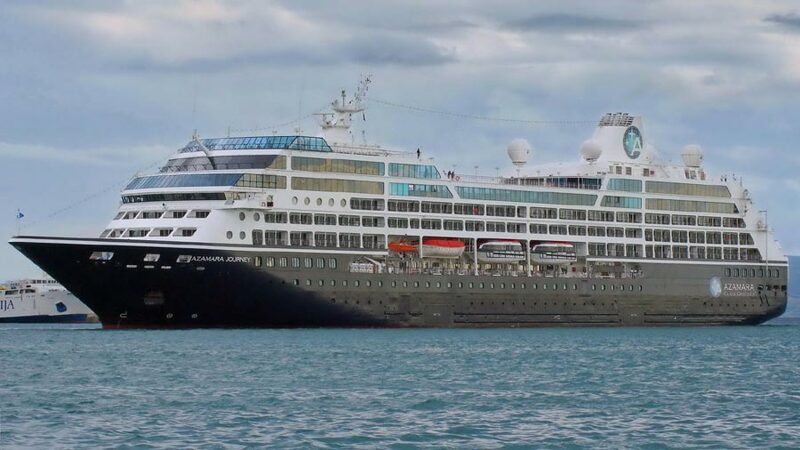 The Azamara Cruise ships current sailing is to come to an end due to damage on the ships propeller. While the small vessel made a call at Tokyo in Japan the damage was noticed. As a result of the damage the current voyage will end on February 28th in Kyoto, Osaka. Azamara Club Cruises has not yet released information weather the next voyage which is scheduled to depart from Shanghai on March 3rd will be delayed but we expect it will be. [quote_box_center]In Tokyo, we noticed damage to the Azamara Journey’s propeller, which means we regrettably must end the current voyage in Kyoto (Osaka) when we arrive on Friday. Our President and CEO and our VP of Operations are both flying to Kyoto tonight to meet with the ship and the guests. The Journey will remain in Kyoto on Feb 28 and Mar 1, and we will have debarkation for guests on Mar 2. We will provide air to Shanghai where debarkation was originally scheduled on Mar 3. We will also provide hotel accommodations until guests are able to pick up their original schedule. Guests are receiving refunds for the days of the voyage they will be missing, as well at 25% off their next Azamara voyage. The CEO Larry Pimentel will be flying out with the VP of Operations to Kyoto to meet with guests and help with the situation. According to Larry Pimentel twitter page a cable floated into the propeller shaft as the ship was arriving into Tokyo. Also the ship is able to sail but at a reduced speed. Larry Pimentel who is a very active user on @LarryPimentel has also tweeted that the ship will need a dry dock and that they are currently looking for a solution in Asia. Dry dock options in Asia are being evaluated quickly. Forward cruise status will be announced within 48hrs regarding next voyage 3rd March. Cruise Hive will update this post when more information is released on repairs on the next scheduled cruise. Also you can keep track of the CEO on his twitter page.